Wabakimi Fishing & Canoeing Outfitters offers great walleye, pike and lake trout fishing at our four deluxe fly-ins or two train-in outpost cabins. Fly into one of our outposts on lakes such as Shawanabis Lake or Allanwater Bridge, located at the junction of the Brightsand and Allanwater rivers. Wabakimi Fishing & Canoeing Outfitters offers canoe trips and eco-tours into the Wabakimi Park, both guided or unguided, with full or partial outfitting. Each and every trip is carefully custom planned, whether it is for 3 days or 3 weeks. We are here to help your canoe trip be the best it can be. Owner, Bruce Hyer spent 25 years helping to create this park and now Wabakimi Provincial Park is the largest canoe wilderness area in the world. Our company is known for their expertise in custom canoe tripping for families and anglers alike and is the only full-service outfitter in Wabakimi Park. Canoe/Kayak Outfitters: At Wabakimi Fishing & Canoeing Outfitters we can provide you with a custom trip with equipment and planning to fit your needs. Everything from full to partial outfitting, planning and guide services. Hotel/Motel/B&B: We have two excellent B&B Lodges. Armstrong Eco-Lodge located on Mattice Lake and Spruce Forest Lakeside B&B in the Thunder Bay area. Fly-in Access: Choose from one of seven fly-in or train-in outpost experiences on pristine lakes such as Shawanabis and Allanway Bridge Lakes. Walleye: Walleye fishing in Northwestern Ontario is legendary and it's no different in Wabakimi Provincial Park. Paddle secluded lakes while fishing for this delicious panfish. 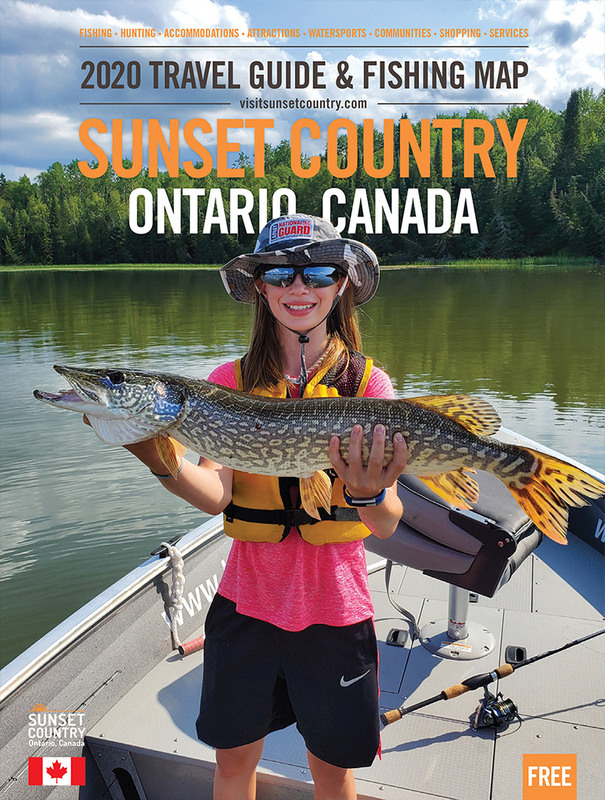 Northern Pike: Northern pike are plentiful in Wabakimmi Provincial Park and will give you the fight that makes catching them a thrill. Smallmouth Bass: Fish for the ever feisty smallmouth bass in Wabakimmi Provincial Park and find out why so many come back year after to year to experience it.